It wasn’t the first protest we’d seen on the runway this season, but it certainly was one of the most blunt and powerful moments. It came right at the end of the show, when most designers would take the opportunity for a final spin of each look in the collection: Gurung’s models had, instead, slipped into something more casual. Out came Bella et al wearing their messages of social equality in the face of Trump’s administration. 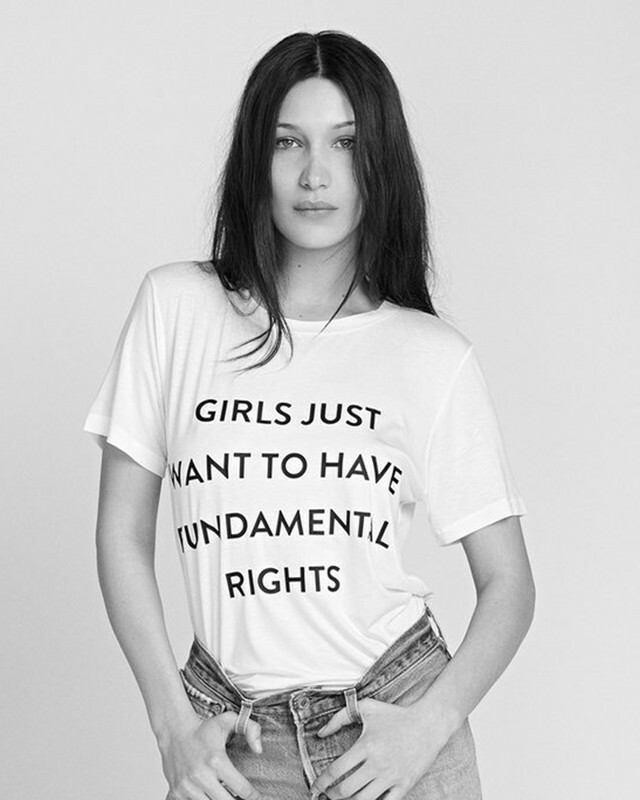 The tees were simple, black-and-white designs that addressed feminism, sexuality and immigration, we were particularly drawn to a pair that read, “My Boyfriend Is A Feminist” and “My Girlfriend Is A Feminist,” which appeared one after the other. 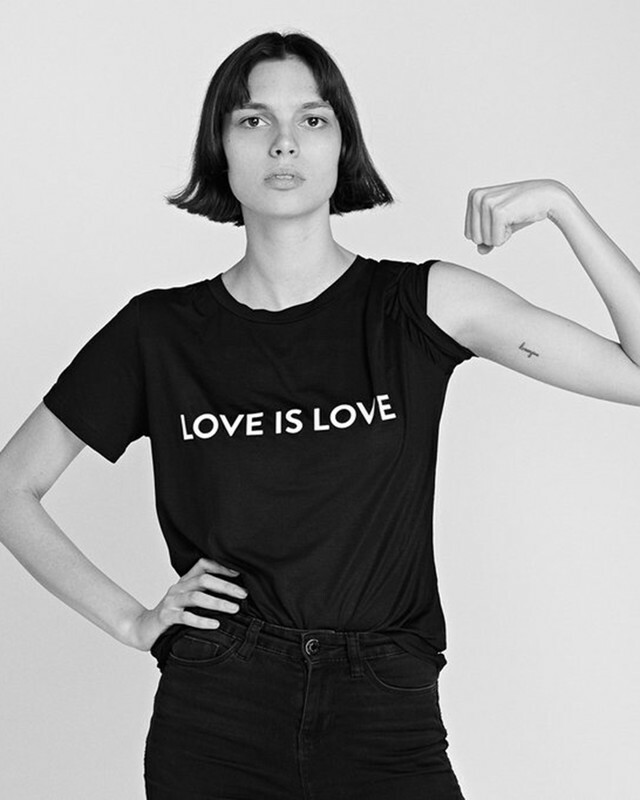 And it’s got the fashion set riled: the t-shirts are already available to purchase on the Prabal Gurung website and they’ve been an instant success, popping up all over the blogosphere (or to save up for the next protest). 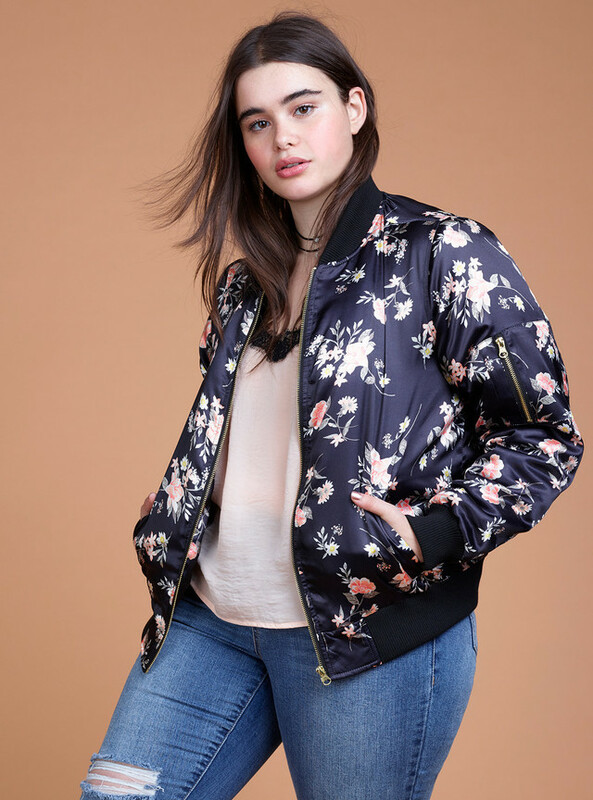 Just days after the tees caused a sensation, news dropped that the American designer has teamed up with plus-size clothing brand Lane Bryant to produce a collaborative SS17 collection from sizes 10 to 28. The line will be genuinely affordable, with sources sighting a price range of $38 to $398, making Gurung’s designs accessible in more than one way. As for what it will look like, well, the full lookbook shows a selection of high-fashion pieces, from a no-nonsense, wrap jumpsuit to a seriously sultry double-lace-up pencil skirt, and no short supply of well-cut staples like pussybow blouses, culottes and dresses. The official campaign features black-and-white shots of Ashley Graham alongside the designer himself, both smeyesing fiercely into the camera. The 12-piece collection will be available to be on February 27th so get the date in your diary. We love how vocal Gurung has been about his views on how not only the fashion world, but the world itself could improve. Even better than that, he's gone about it in a way that is inclusive and bold, but also approachable. His calls for equality have been perfectly executed in a way that everyone can partake in. And we're in.